That is a great peace of information, I hesitated to buy this cheap HP-DL380 G5 – 64 GB but this post helped my to decide. Thanks…this is the first server for my homelab!!! I just installed ESXi 6U3 and do you need this? Yes, because most vanilla ESXi hosts wont give you health information about the most important aspect of the server: RAID controller and disk health info. Anyone tried 6.5 on the DL380 G5? Yes, for me works to. I have two servers. Vmware Essentials. And the HP works fine. Its a great machine. I encounter some problems with 6.5, non of my sensors work. when trying to install the vibs i get an error that it misses com.vmware.driverAPI-9.2.0.0 and can’t find any information. Thanks for the iformation! Great job for us to bring the DL380Gen5 alive again! I cannot add new datastores. I’m wondring if I messed up the VIB install for the RAID drives. Any guidance in this would be greatly appreciated. went through the whole process again to ensure I didn’t mess up. I am getting some dependecy errors. Obviously, I missed them in the first attempt. Again any advice would be greatly appreciated. Then upgrade to 6.0 or 6.5. 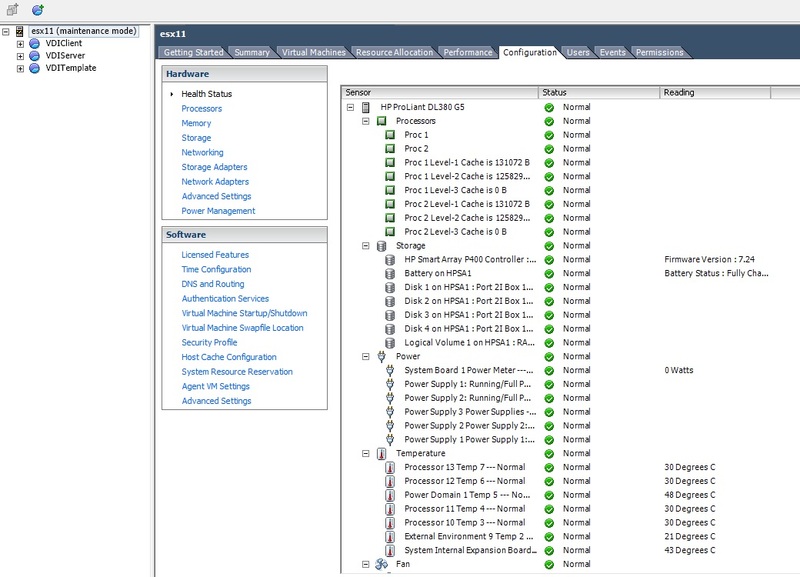 The preceding information will assist the VMware Support team with your problem. And tried with several esxi 5.5. and still the same, any help you can give me?